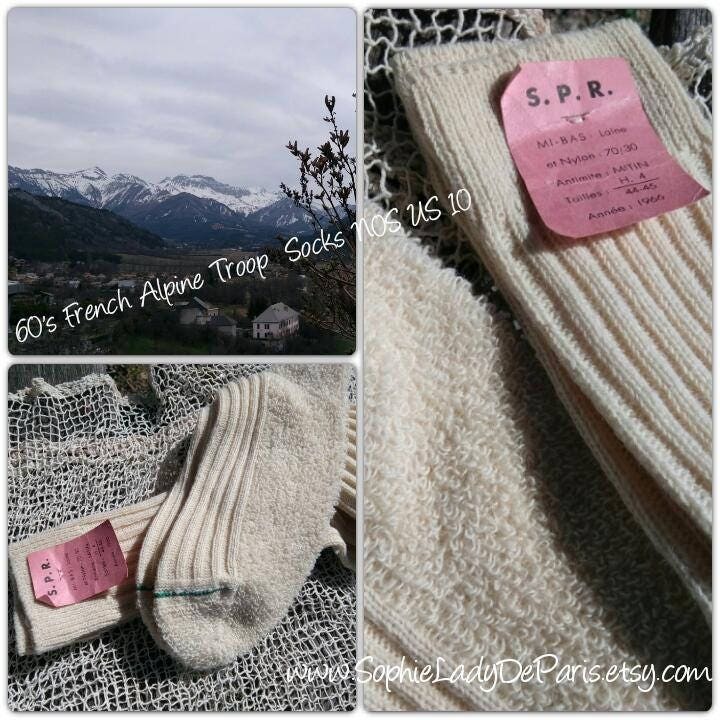 Men's high boot socks.Genuine French Alpine Troop Socks Tagged. 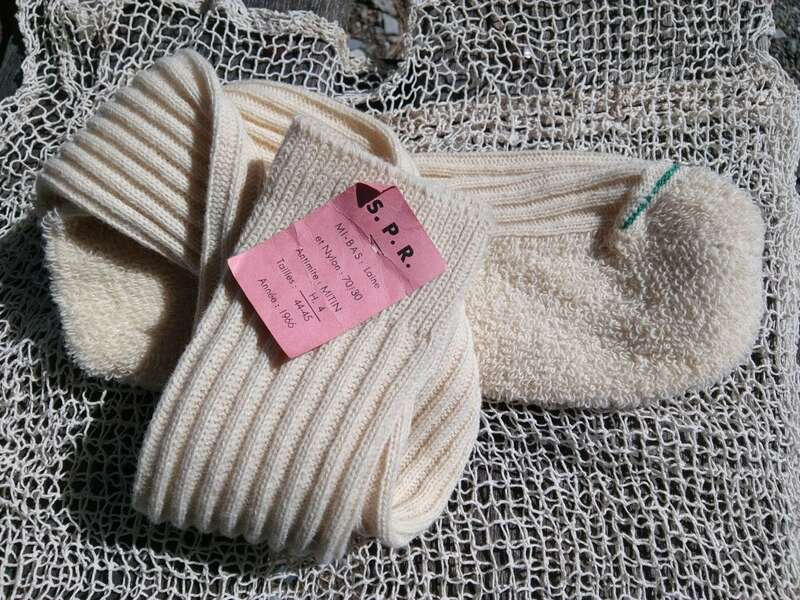 Vintage 1966 tag. 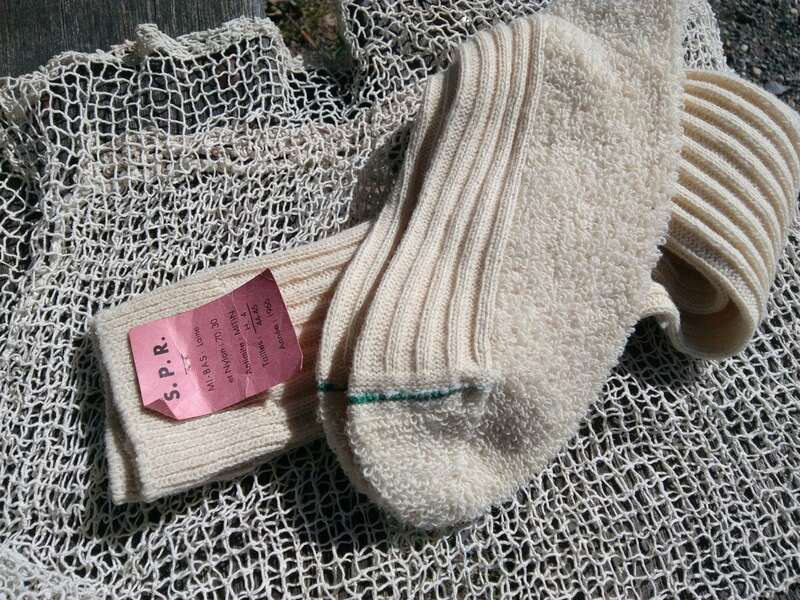 Thick knitted socks. 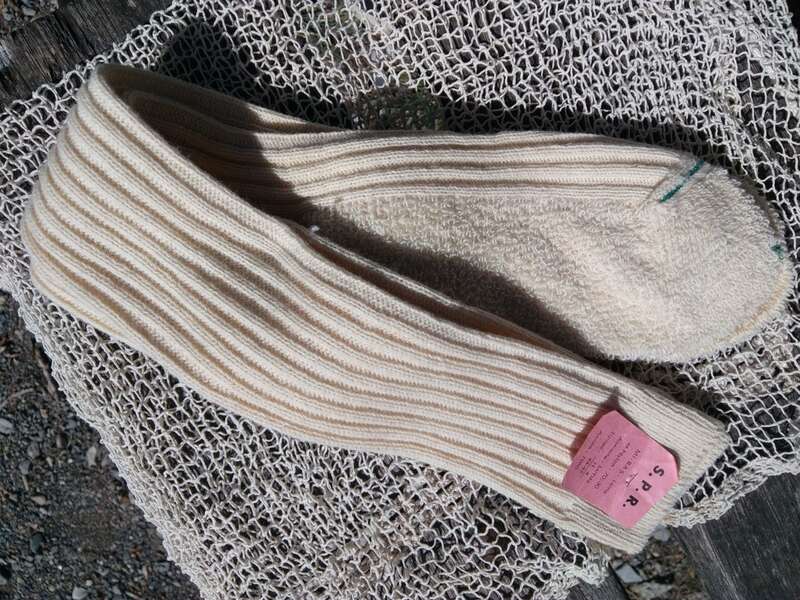 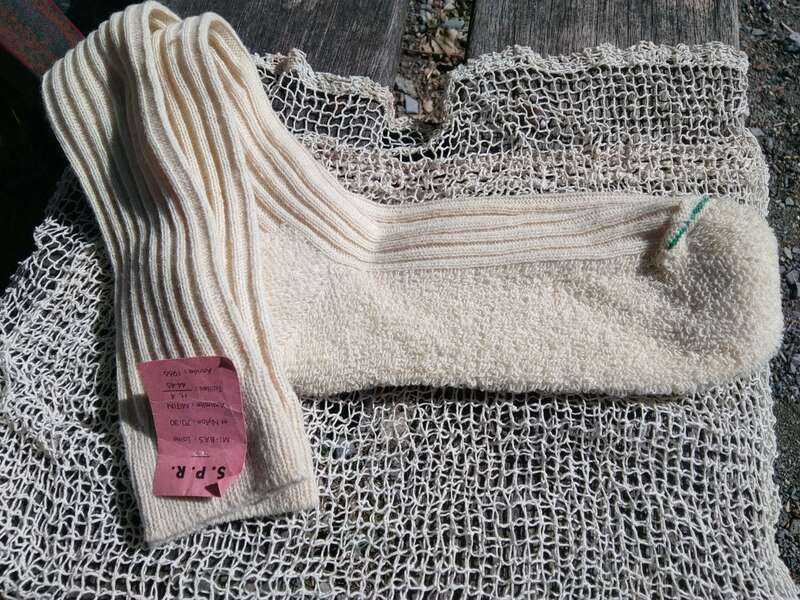 Beautiful to wear as winter mountain socks or long fashion urban socks or to keep as collectible!